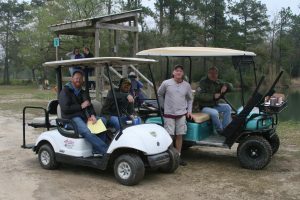 Children’s Miracle Network Hospitals and the CHRISTUS Southeast Texas Foundation hosted the 8th Annual Shootin’ for a Miracle Clay Shoot on Saturday, March 3 at the One-in-One Hundred Gun Club in Lumberton, Texas. 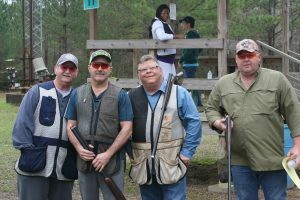 Four-person teams took to the range to participate in this friendly competition benefiting our community. 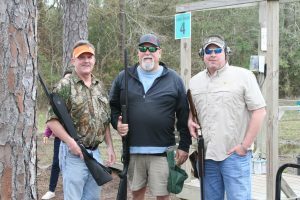 From novice to champion shooters, the clay shoot provided a fun way for everyone to practice their skills while supporting a great cause. We are extremely grateful to all of the sponsors, participants, and volunteers who helped make Shootin’ for a Miracle a success. Thank you and we hope to you see you again next year! View more photos on the Children’s Miracle Network Hospitals in Southeast Texas Facebook page.